On Saturday, March 16th from 8:30 a.m. – 3:00 p.m. the CDTA College of Law midterm examinations will take place. Our students are busily preparing to take a combination of essay exams and multiple-choice questions. Each of our students will write 3 essays between 8:30 – 11:30. As always, between the morning session and the afternoon session our students will dine together with lunch provided by Irene. After lunch at 12:30 the students will answer multiple choice questions in the various areas of law in which they are engaged in study. Our midterms and final examinations are intended to model the Baby Bar and California Bar Exams so that our students are experienced and comfortable with this process. Our Professors will proctor and ultimately grade the examinations so that students can receive their grades promptly. Midterms comprise 20% of each student’s overall grade and provide the Professors an excellent insight into the student’s progress. Good luck to all our students in Spring 2019 midterms. John Patrick Dolan’s 70th Birthday Jam Session/Fundraiser will take place on Sunday, March 24, 2019. From 11:30 a.m. – 5:30 p.m. we will be rockin’ and rollin’ in the Fantasy Springs Special Events Center. Many local legal practitioners and bench officers will take part in this extraordinary event. We welcome our legal colleagues, friends, and family to join us for food and cake from 11:30 – 2:00. We are asking for a donation of $50 or more to support student textbooks and study materials at CDTA College of Law. Donations are payable to Desert Center for Legal Education (“DCLE”). 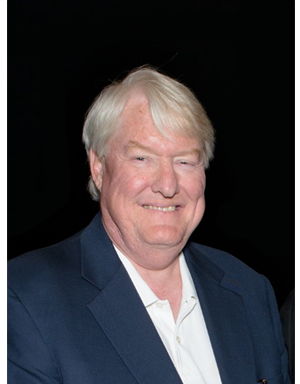 We are proud to feature our faculty member, Honorable Judge Harold Hopp. Judge Hopp teaches Evidence on Tuesday evenings along with Professor Peter Nolan. Professor Nolan’s experience in Criminal Law and Judge Hopp’s knowledge in Civil Law make an excellent combination to help our students understand both perspectives on Evidence. Judge Hopp served as Presiding Judge in Riverside County in 2015 and 2016. This required him to perform his bench duties here in Indio and at the same time commute to downtown Riverside for his Administrative duties. Judge Hopp presently sits on the Bench here in Indio Larson Justice Center, Department 3R. CDTA is fortunate and grateful for Judge Hopp’s professorial contribution. Happy Birthday wishes to Judge Hopp who celebrates his birthday this month. 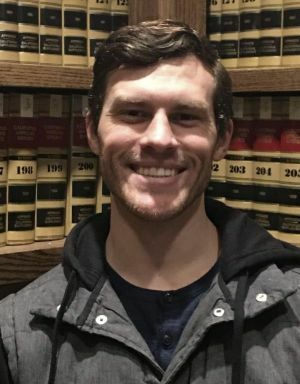 Cole Krisell is a third-year law student studying bar tested subjects - Constitutional Law, Criminal Procedure, and Professional Responsibility. Cole also studies Bankruptcy, Intellectual Property, Contract Writing, Indian Law, and Immigration Law in mini courses on Wednesday evenings. Additionally, Cole participates in the Inns of Court program during his third year. This provides an opportunity for Cole to meet our local Judges, Justices and many of our local prominent attorneys. Besides being an excellent student, Cole, is also an MMA cage fighter. Very spartan! A sound mind in a sound body…let’s hope his mind and body make it to the California State Bar Exam in July 2020. 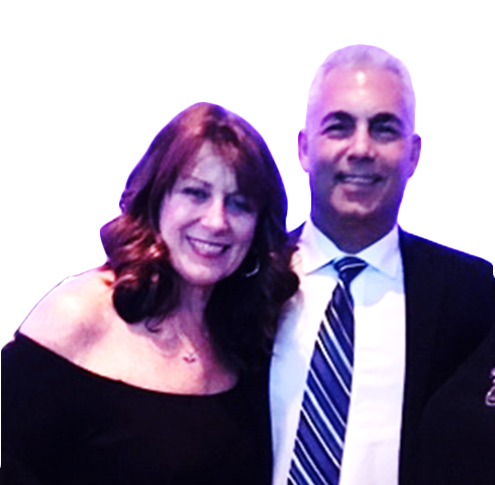 Anthony Valente and his wife, Frieda, are this month’s featured Friends of CDTA. Tony and Frieda are big supporters of our law school. It is especially noteworthy that Tony attended law school exclusively on-line and ultimately passed the California Bar Exam while he was employed by the California Department of Justice. His law enforcement experience includes Indio PD, the California Bureau of Narcotics Enforcement, the Riverside County Gang Task Force, and working with the Department of Justice as a weapons expert. 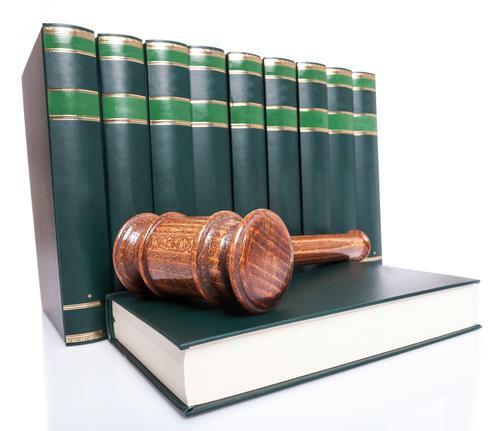 After passing the California Bar Exam, Mr. Valente practiced Criminal Defense with Dolan Law Offices, and until recently, with the Benjamini Law Offices. Deputy District Attorney, Anthony Valente, now serves the public in the role of a prosecutor in Imperial County. Frieda Valente is a Clinical Research Associate at Eisenhower Desert Cardiology Center. We appreciate the contributions of Tony and Frieda and count them among our closest Friends of CDTA. As a Friend of CDTA , your donations support public legal education, the CDTA law library and research facility, Project 180, textbooks and study materials for CDTA students and La Reina Limited Means Legal Clinic.